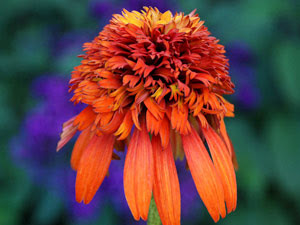 This is a new introduction in 2009 and is the first ever double orange/red coneflower. This breathtaking new plant is from legendary Dutch breeder, Arie Blom. Think of it as a double version of "Sunset". 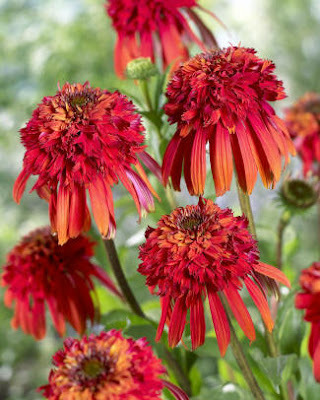 Like many of the other new coneflower, Hot Papaya is fragrant and on sturdy stems. An added bonus of Hot Papaya is it makes a great cut flower, lasting 10 days or more.